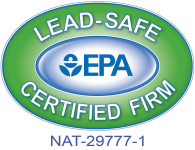 BEAVERCREEK, Ohio – Greater Dayton Construction, Ltd. (GDC, Ltd.) has been awarded the 2014 ENERGY STAR certified Homes Market Leader Award by the U.S. Environmental Protection Agency (EPA). Recognized for its contribution made to energy-efficient construction and environmental protection, GDC, Ltd. was responsible for building 121 ENERGY STAR certified homes in 2013. Collectively, these homeowners will save approximately $36,300 on their utility bills and will reduce carbon dioxide emissions by 450,604 pounds. Saved by planting and growing 5,203 coniferous trees, such as pine or spruce, for ten years. To earn the ENERGY STAR label, a home is required to undergo a third-party verification by an energy rater and must meet strict guidelines for energy efficiency set by the U.S. Environmental Protection Agency. These ENERGY STAR homes are up to 30% more efficient than typical new homes built today. “At Greater Dayton Construction, Ltd. we are committed to improving our environmental performance, and receiving the EPA ENERGY STAR Market Leader Award is recognition of our commitment to building ENERGY STAR certified homes,” said Kevin Hess, Vice President GDC, Ltd. “Our dedication to building energy-efficient homes is not only financially beneficial for our clients, it’s great for the environment and our business. Features such as effective insulation systems, high performance windows, tight constructions and ducts, properly-sized and installed efficient heating and cooling equipment, and energy-efficient lighting and appliances contribute to the durability of energy-efficient homes and help reduce utility and maintenance costs for homeowners.